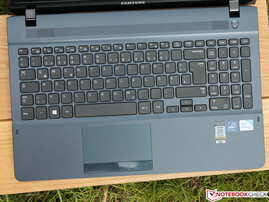 Samsung ATIV Book 2 - 270E5E: Proven office all-rounder with a new name or just a cheap notebook with an ATIV branding? A couple of years ago netbooks were the best solution for the ultimate energy saving computer. Intel's first and second-generation Atom platform were basically hawked for small money. We all know that the performance of these single thread systems was hardly sufficient for more than web browsing, social media and perhaps some video playback. Five to eight Watts during idle and a maximum of 15 Watts under maximum load, these were the basic figures of the platform that usually came in a 10.1-inch form factor. 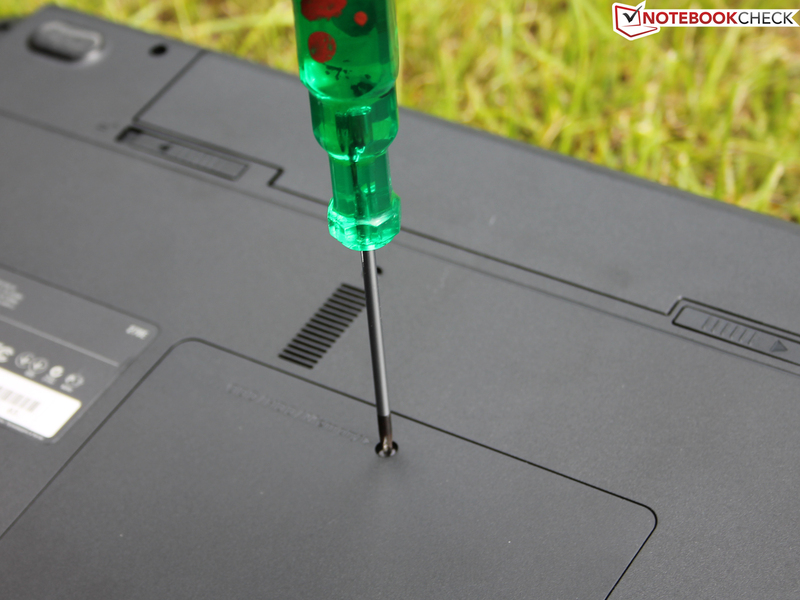 Why this netbook-excursion in the recent past? 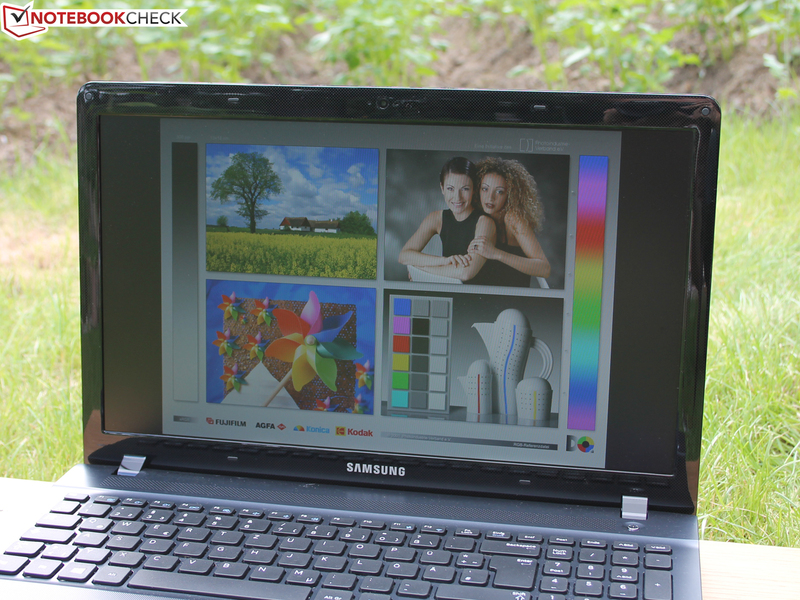 Today we review the Samsung ATIV Book 2 - 270E5E, a 15-inch notebook that is also available for around 400 Euros (~$531) (incl. operating system), just like the first netbooks. With its Pentium 2117U and a good display brightness of up to 231 cd/m² it consumes the same amount of energy during idle as a typical netbook: Six to nine Watts according to our measurement device. 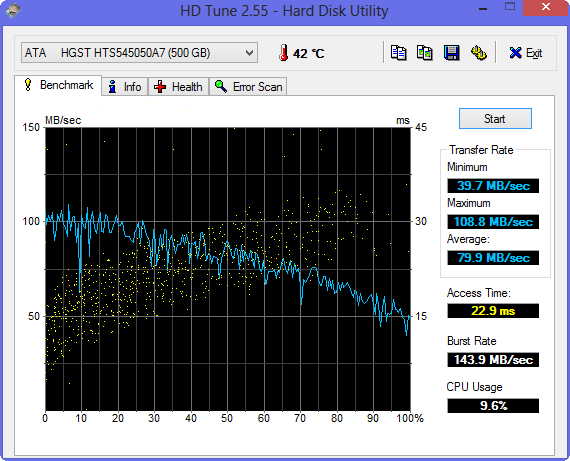 The load consumption is 30 Watts, which shows the good differentiation between idle and load of modern notebooks. 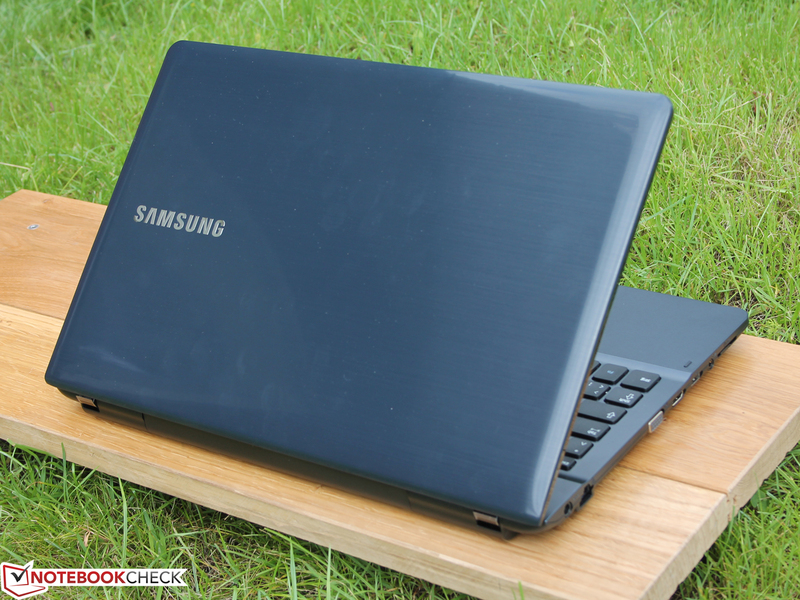 In terms of performance, the Samsung ATIV Book 2 is far ahead of any netbook. But the Samsung offers even more - more than the simple, not really exciting plastic chassis would suggest. Inexpensive or cheap? Find it out in our in-depth review. The competition below 400 Euros (~$531) is fierce. No wonder since this category sells the largest quantities. The two bold marked devices are the most interesting office alternatives in our opinion. Information: Some configurations differ from our review unit. Cover: Looks like aluminum but is made of plastic. Simple plastic case with otherwise durable surfaces. A familiar chassis? If you have a closer look at the entry-level devices from Samsung, you will know that the manufacturer always used the same chassis in the last couple of years. They only change small things depending on the price range: It does not matter if it is the RV515-S03DE, Series 3 305E7A-S03DE or E3520-A01DE (2012) or even the RC530-S01DE from 2011: The basic construction is very similar, including the average but adequate build quality. The base unit is not very torsion resistant. If you lift the notebook at one corner, the whole assembly bends. The display cover is really wobbly and flexible at the same time, but is quite resistant against concentrated pressure at the back. 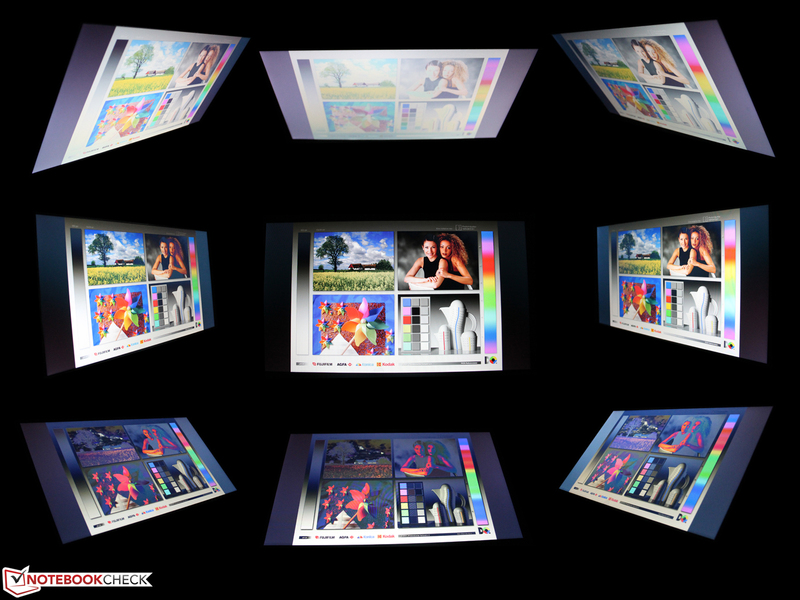 The firm hinges keep the display well in position but cannot prevent significant bouncing. However, this should only be a problem in the car or on a train ride. 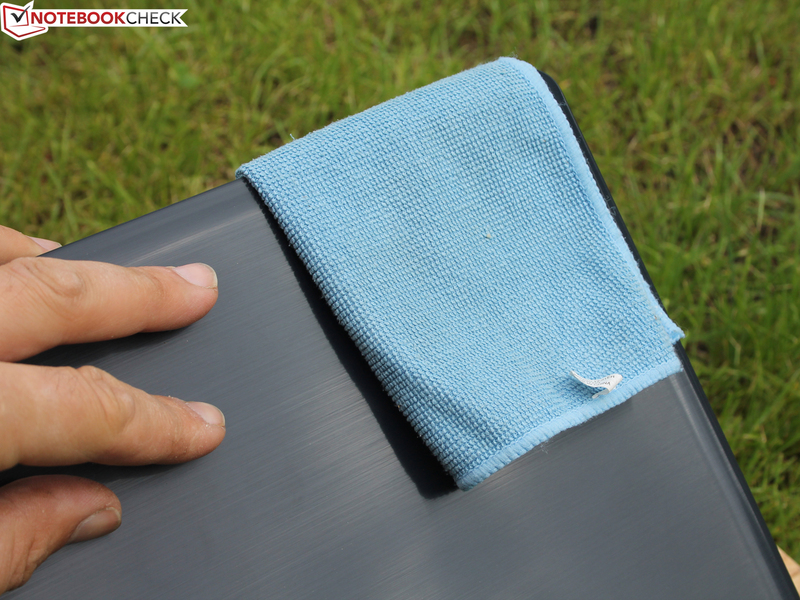 The finish (of the surface) was designed by the manufacturer for daily use but does not leave the impression of cheap plastic. The display frame is glossy; the small surface is slightly textured to hide fingerprints. The result is modest but the principle works. The palm rest was punched with a fine relief, which gives the hands a slip-resistant, fingerprint-free and convenient feeling. The display cover is inspired by brushed aluminum but it is made of glossy plastic. Since the grooves of the brushes are on the surface and not under the clear coat it feels conveniently matte. The problem of this solution is that fingerprints are not easy to remove. Pure minimalism in regard to the ports: Three USB ports, although only in version 2.0, are conveniently placed around the case. The Ethernet port is fortunately not yet waived by Samsung (unlike the Dell Inspiron 15 2013). The Fast-Ethernet port for wired networks (Realtek PCIe FE Family Controller 10/100) is not up to date anymore, but at least the Atheros AR9485WB-EG wireless adaptor works well. The 2.4 GHz adaptor is often used for low-priced devices. 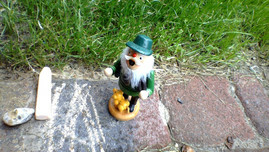 However, there were no real drawbacks in our reviews (e.g. Lenovo IdeaPad S405, Sony Vaio SV-T1511M1E/S). As usual, we use the status icon of the wireless module for a quick check of the range and reception. With a distance of ten meters (~33 feet) and on another floor, we still have 4 out of 5 bars. The connection is still active with distances of 15 and 40 meters (49 and 131 feet) (both outside the house) even though we only have three or one bar left, respectively. This is a good result considering that the transmitting power of our router is reduced to 50%. Samsung puts a 40-Watt power supply unit in the box besides a Quick Start Guide and warranty information. There are no recovery media but annoying backup software constantly reminds you to burn a recovery DVD. More interesting is the provided software: PowerDVD and Power2Go are both Cyberlink products for instantaneous DVD playback or burning/copying of data, movies or music. Such tools are not a matter of course. 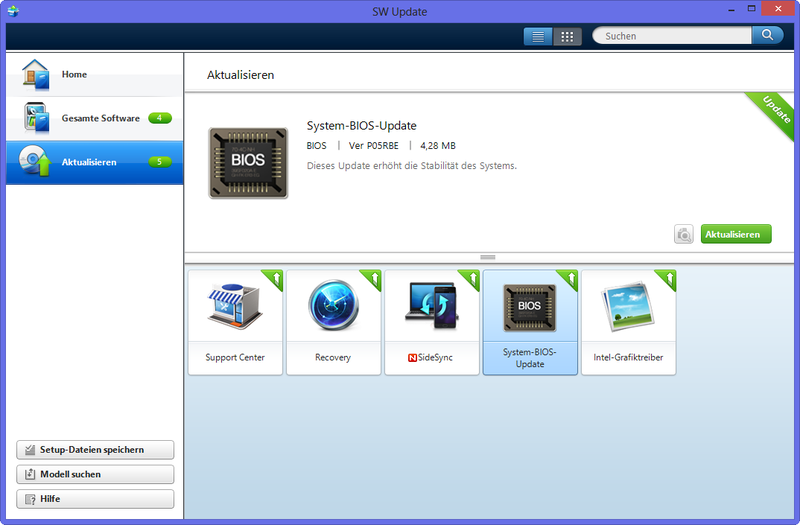 The Samsung Settings combine hardware and software settings in a simple tool. The reading mode is very interesting; you can change between Auto and Off setting via the Fn-key. New is Samsung's SideSync, a tool that clones the smartphone screen onto the notebook display (and vice versa). Finally, there are the typical trial versions of Adobe Photoshop Elements 11 and Norton Internet Security. The maintainability is limited to the replacement of the hard drive (2.5-inch, SATA, 9 mm) and the two memory modules (review unit: one module with 4,096 MB occupied, single-channel). The manufacturer's warranty period is 24 months (incl. On-Site pickup service). Warranty extensions to 36 or 48 months have to be purchased and activated within 90 days after you bought the notebook. Samsung describes the warranty as "Flexible Service". This means the Samsung support decides whether the defect device has to be sent in or is picked up. You can get the 36 months, for instance, for 60 Euros (~$80). 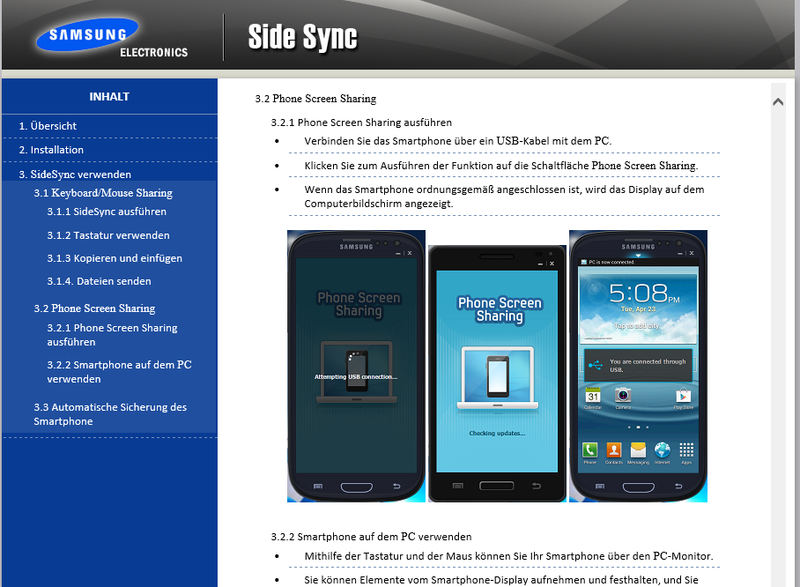 Samsung SideSync - control the smartphone via PC and vice versa. 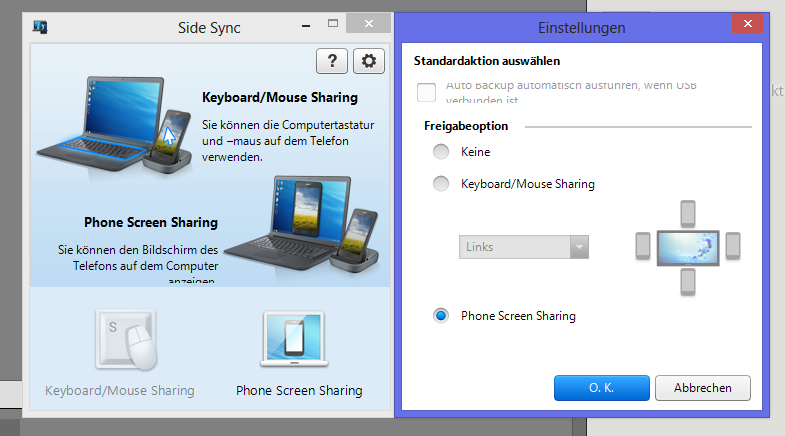 SideSync - control the smartphone via PC and vice versa. 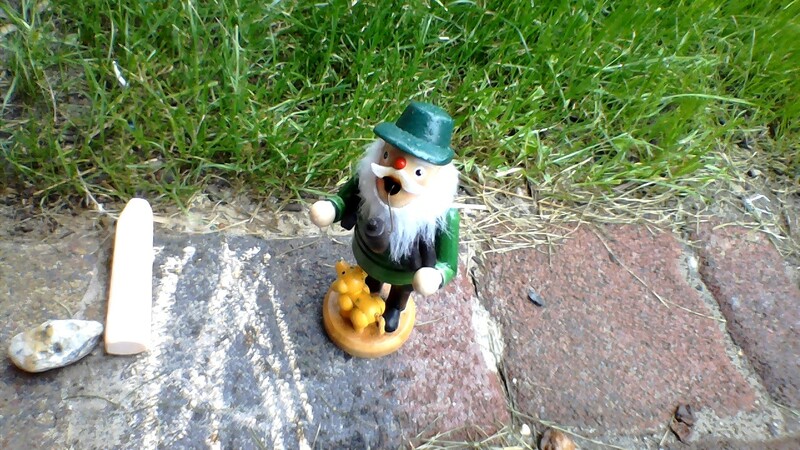 The camera (1280x720 pixels) should not really be used for pictures or even videos, the quality is just not good enough and pictures appear blurry. Contours are very distorted outside the center of the picture. The numeric keypad keys and the arrow keys are narrower and shorter than the rest of the keyboard, respectively. The standard layout of the numeric keypad with Point and Return at the right bottom side is similar to desktop inputs. 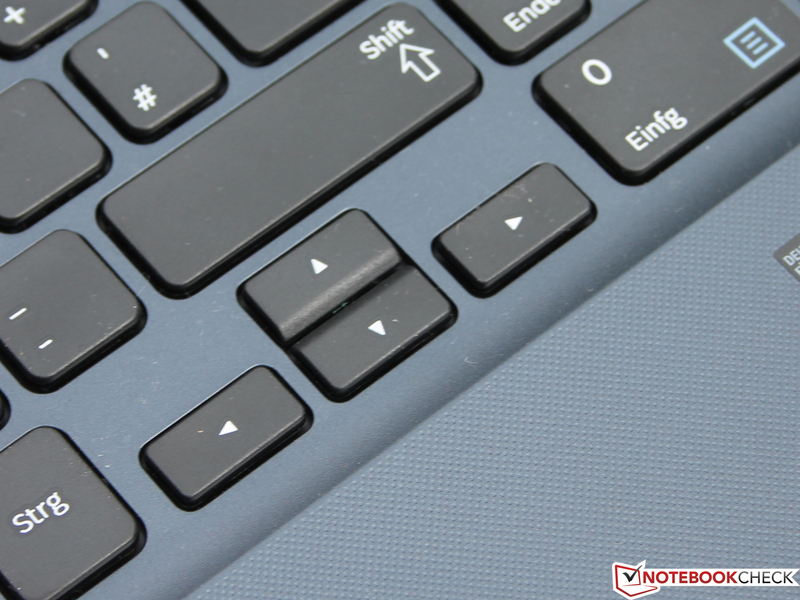 The arrow keys have a little gap below the Shift key, a very good idea to improve the handling. The key travel is exceptionally long: Around 2 millimeters, only a few business notebooks can keep up with that. The stroke is firm (not hard) but the keyboard is bouncy, especially the area above the DVD burner leaves a wobbly impression during typing. However, the keyboard cannot be pushed in anywhere. The clear pressure point of the flat keys in combination with the key travel could have provided a very good feedback. Unfortunately, the missing concave curvature prevents that. Typing is not that comfortable; we accidentally hit the adjacent button over and over again (lack of accuracy). Frequent writers will appreciate the elevated palm rest; even big hands can rest comfortably. The lowered keys can be reached without problems. The multi-touch pad (Synaptics TouchPad V7.5) with its sufficient size is not very precise in the peripheral areas. There are no scroll bars (vertically or horizontally) and they cannot be activated in the Synaptics software. The surface is matte and slippery, so multi-touch gestures like rotating, scrolling or zooming are quickly executed. The buttons enable fast clicking with their small key travel and the soft stroke. The result of the small travel however is the limited feedback. Samsung integrates an anti-reflective HD panel (1366x768 pixels, TN LED, AUO B156XTN0). The contrast ratio of 420:1 is just mediocre but that is typical for business notebooks and multimedia devices in the lower price categories. Black colors are not really black; you cannot compare it with a high-quality IPS panel. But such a display is very rare in the 400 Euros (~$531) price range; the competitors LifeBook AH502 and Terra Mobile 1512 are both equipped with sufficiently bright and matte displays. The 15-inch Wortmann is better in regard to the contrast and the Fujitsu is just pale (189:1). A high contrast ratio would be between 800 and 1,300:1. 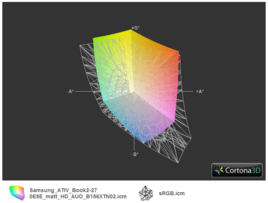 The color space is far away from the AdobeRGB 1998 reference (55% coverage); it is the same situation with the less demanding sRGB (80%). However, this is mainly important for professional users. We performed a color analysis with CalMAN 5 (i1 Pro 2 photo spectrometer) before we calibrated the display and determined a clear weakness with the grayscale presentation. All areas suffer from a distinct blue cast; the average DeltaE (2000) value is 8. The white point is also shifted towards blue (saturation) so the picture appears too cool. Magenta and cyan are also shifted towards blue; both have a high DeltaE (2000) value of 7 or 14, respectively. The result is that the deviated colors of the sRGB color space are clearly visible even to the untrained eye (when both colors are side by side, e.g. in the CalMAN screenshots). 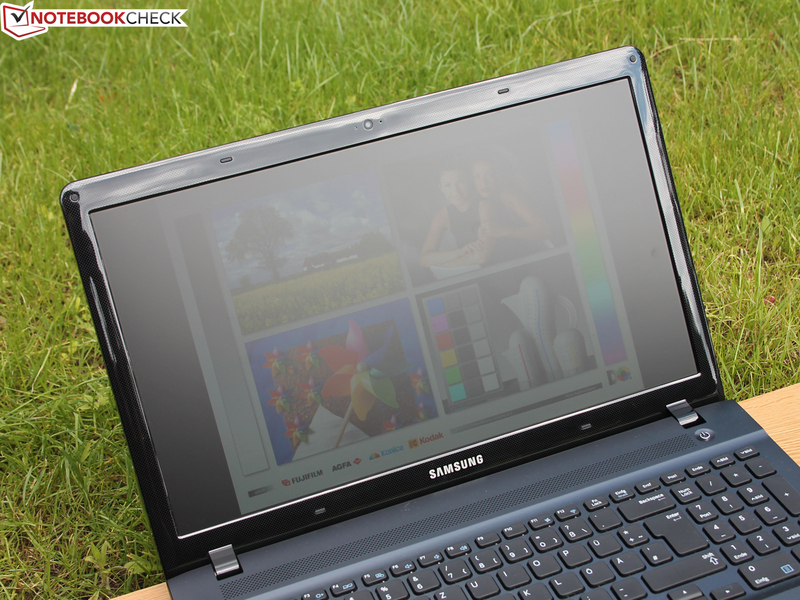 Matte displays are perfect for outdoor use; we expect good usability in the sun or at least in bright environments from the ATIV Book 2. The brightness (identical with PSU and on battery power) is sufficient but unfavorable incidence angles can still be annoying. Viewing angles are not a strength of TN panels. 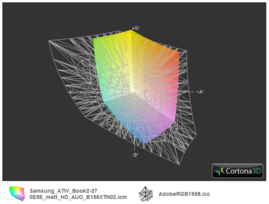 Vertical angles of 20° from above or below result in strong color deviations. The horizontal viewing angles are wider (around 45 degrees from the center). Although the Intel Pentium 2117U (2x 1.8 GHz) is just available on the market it is still based on the older Ivy Bridge architecture. The U in the designations stands for Ultra Low Voltage (ULV). The energy consumption and the heat development are very low thanks to the 22 nm manufacturing. 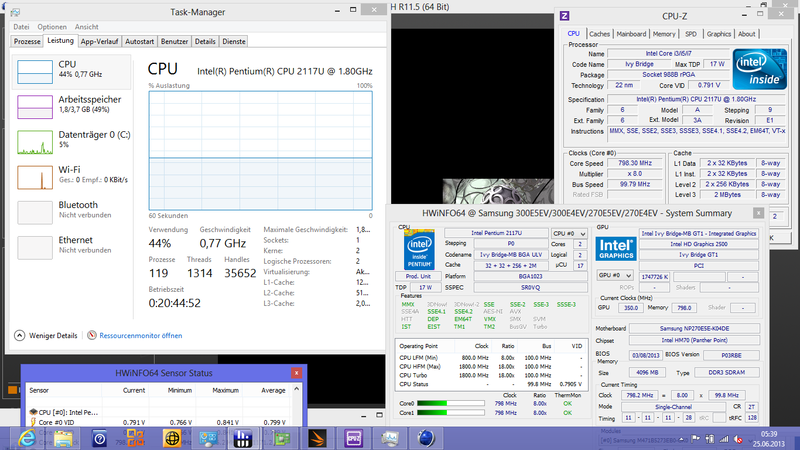 Compared to a Core i3-3120M (2.5 GHz), the Pentium does not support Hyperthreading. 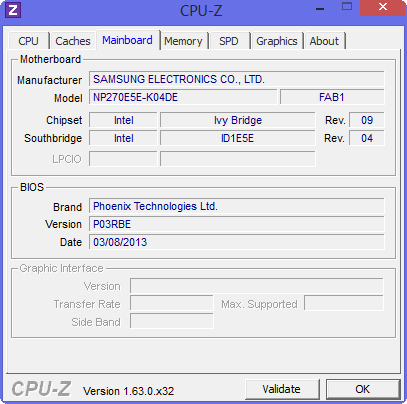 The i3 and the Core i5-3230M are also offered for the ATIV Book 2 (Ivy Bridge, 22 nm, 35 Watts TDP). While the Core i3/i5 are equipped with the Intel HD Graphics 4000, the Pentium 2117U can only use the less powerful HD Graphics (Ivy Bridge). 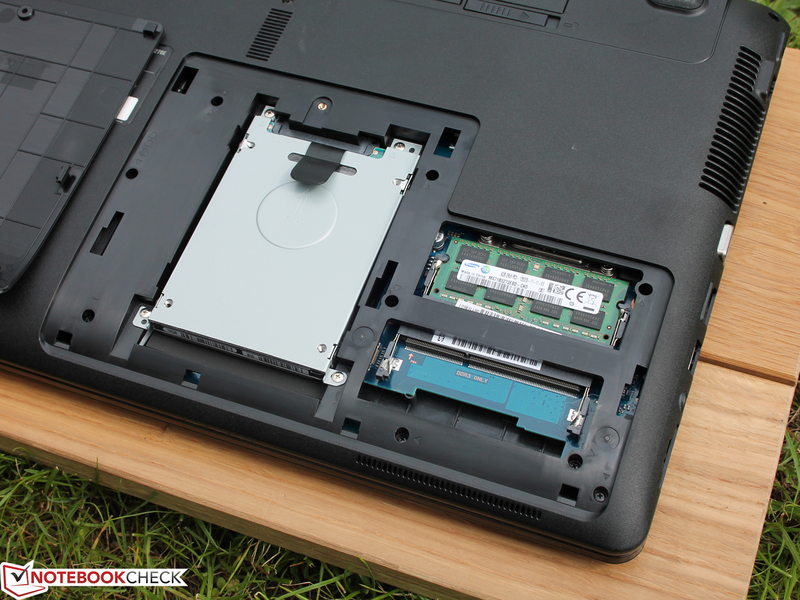 Hitachi provides the 500 GB hard drive Travelstar Z5K500 for the 15-inch notebook; there are no configurations with an SSD. Finally there is one memory module with 4 GB RAM (single-channel PC3-12800). Pentium processors are intended for entry-level or low-cost configurations; devices that are even more inexpensive can be equipped with Celeron processors. We compare the synthetic performance of the two cores with some entry-level and mainstream processors from AMD and Intel (Low and Standard Voltage). Is the additional charge for the i3-3120M worth it? Cinebench R11.5 Multi shows that the 2117U is on the same level with the Celeron 1000M (Standard Voltage) and Standard Voltage Pentiums are 17 to 31% faster (B950, B970, B980; 35 Watts). A Core i3, like the 3110M, is even 72% faster. The i5 configuration is available for 580 Euros (~$769) and it includes a bigger 750 GB hard drive and the GeForce 710M. This option should be around 100% faster thanks to the Turbo Boost; it might be a good option if your notebook should last a few years. 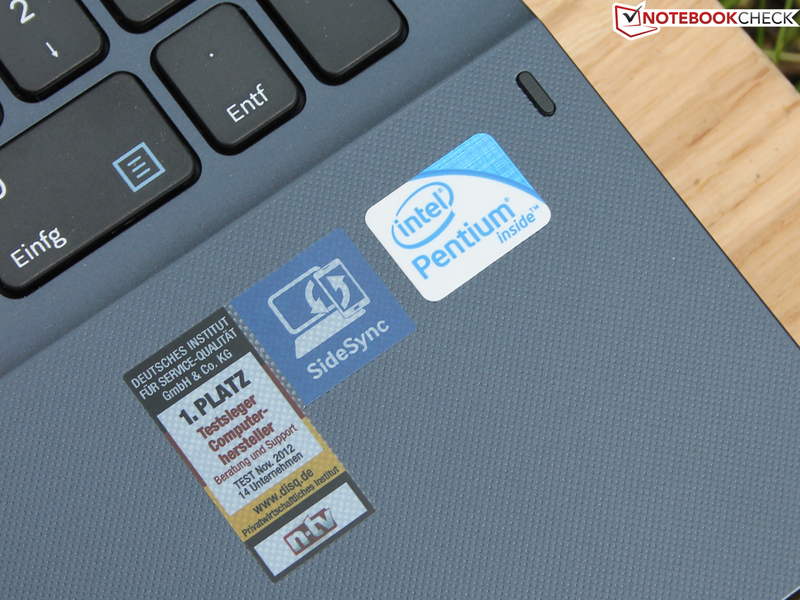 Fujitsu's competitor with its Pentium 2020M (35 Watts) has a clear advantage of 37%; the Terra Mobile 1512 with the Low Voltage Celeron only manages 6%. AMD's Trinity platform, which is often used for inexpensive configurations, is 19% slower (if you only look at the CPU performance). After the first benchmarks we were surprised by the comparatively low results, for example 0.38 points in Cinebench R11.5 Single Test; the results were similar on battery power. The CPU clock was always at 800 MHz - even under load. The reason for this is the Silent Mode, which can only be switched between Auto and Low via the Fn key. 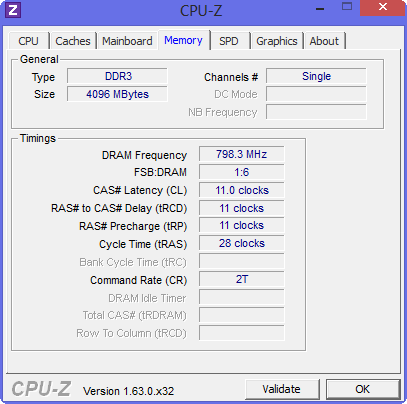 Only the manual deactivation resulted in the nominal clock of 1.8 GHz (constant, no throttling). 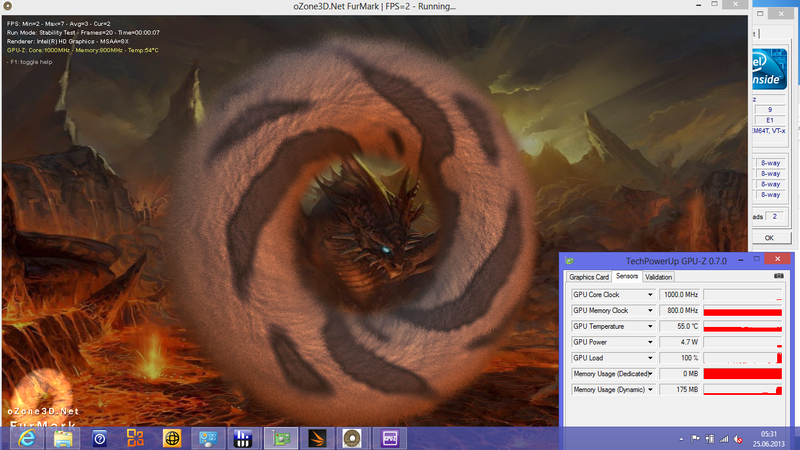 Finally, we could determine the real performance (we also used this setting for our gaming benchmarks). 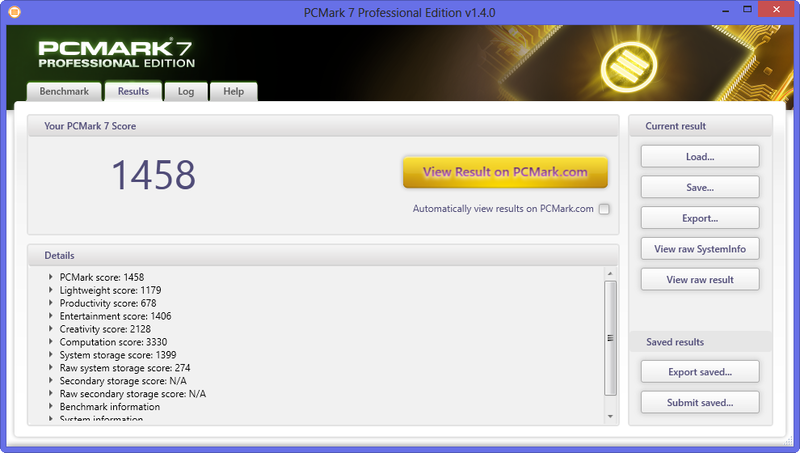 We use PCMark 7 and Vantage to determine the application performance of the system. 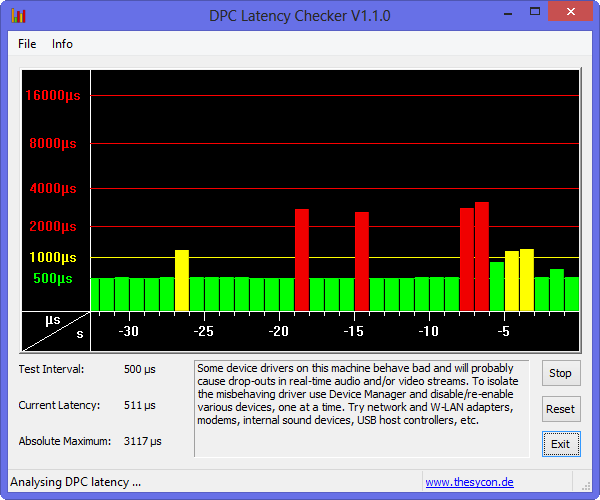 These tools include HDD, GPU and memory and give sub ratings besides the overall score. For instance the System Storage Score (1,399 points) is a usual low result for systems with a conventional HDD. Once again, Standard Voltage CPU's are clearly ahead, Lenovo B590 (i5; HDD) and B580 (3210M; HDD) have an advantage of 24%, which is also influenced by the 72% higher CPU performance. 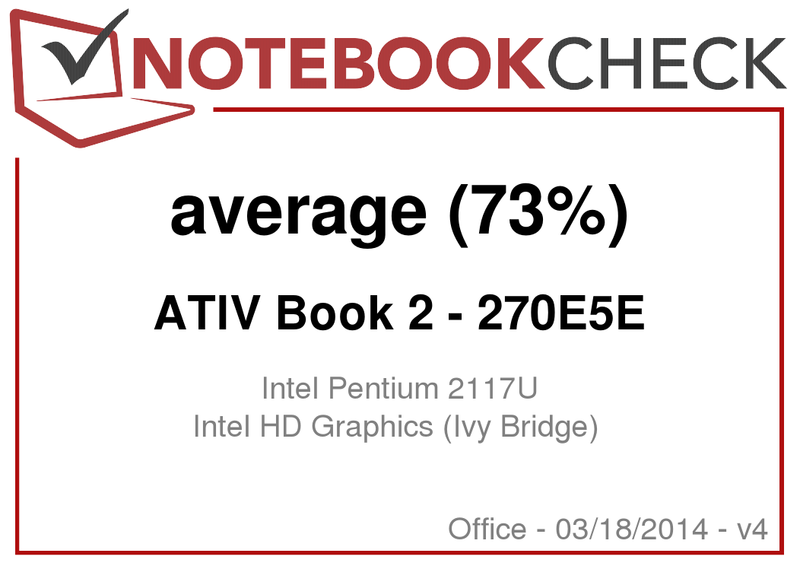 The ATIV Book 2 does not have to hide behind the rest of the competition: Even Pentium equipped systems like the Asus F55A, HP Compaq Presario CQ58 and HP 650 fall behind by around 15%. 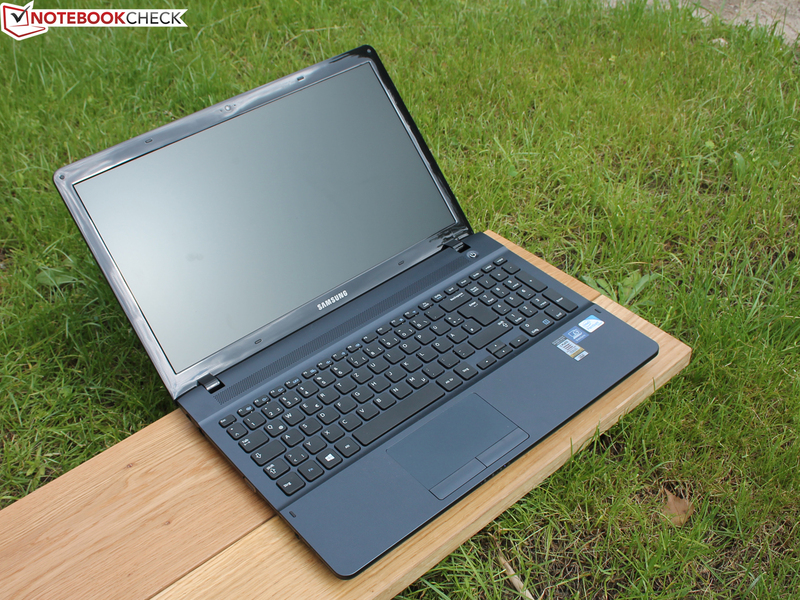 The direct rival LifeBook AH502 with the latest Ivy Bridge Pentium has an advantage of 19%, the other competitor Wortmann Terra Mobile 1512 however cannot keep up with its Low Voltage Celeron (-20%). The subjective impression confirms our measurements; the ATIV Book 2 is responsive with quick application and system starts. If you are satisfied with the basic features of the device you can safely choose the efficient Pentium (undemanding usage scenario). 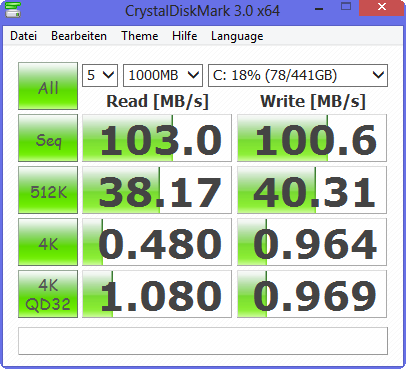 Hitachi's hard drive (Travelstar Z5K500 HTS545050A7E380) with a gross capacity of 500 GB is not slow for a 5,400 rpm HDD with 79 or 103 MB/s, respectively (sequential read). The access time of 22 ms however is very slow (better: ~17 ms) and the 4K Read Test (0.48 MB/s) once again shows that conventional hard drives cannot keep up with Solid State Drives, which manage at least 20 MB/s and some high-end models even more than 30 MB/s. 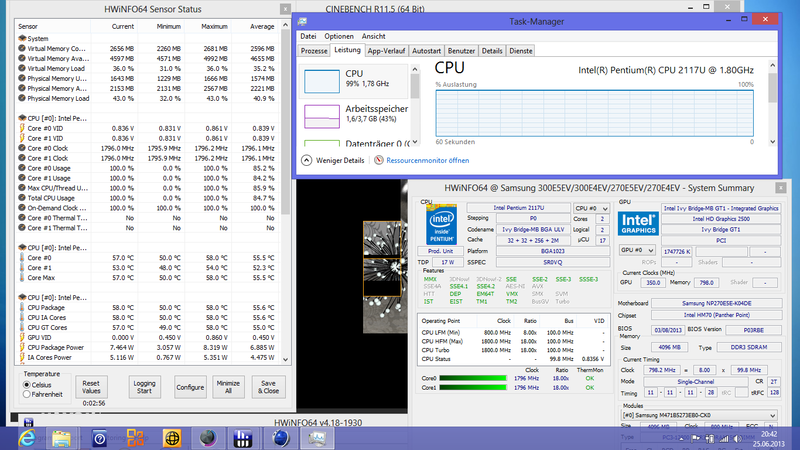 The competition is even worse than the ATIV Book 2 with 0.385 and 0.467 MB/s. Graphics are handled by the Intel HD Graphics (Ivy Bridge) with a clock of 350 up to 1,000 MHz and DirectX 11 support. The GPU has more performance than the Sandy Bridge predecessor, which can be seen in OpenGL 64-bit (HP Compaq Presario CQ58 or Asus F55A). 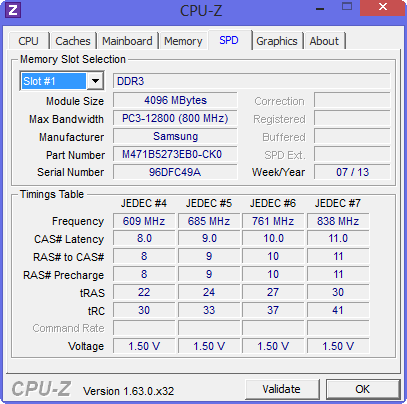 The HD 3000 of older Sandy Bridge processors, for instance in the Dell Vostro 2520, as well as the Intel HD of the Celeron 1037U (Terra Mobile 1512) are on the same level. The Intel HD of the 35 Watt Pentium 2020M is only around 6% faster (Fujitsu LifeBook AH502). With a GT 710M, the smallest dedicated Nvidia GPU (ATIV Book 2 - 270E5E), the synthetic graphics performance is raised by 210% (determined with the Lenovo IdeaPad U410). That seems to be a lot but even this GPU is not interesting for gamers and it is not available for 400 Euros (~$531). A compromise could be the HD 7520G (+130%) of the Trinity platform (IdeaPad N586), however, the low CPU performance might be the limiting factor in some games. The gaming performance is not overwhelming. Current games cannot be played with the ATIV Book 2 and its ULV Pentium. The situation is better with the GeForce 710M (+196% 3DMark 06; +219% Anno 2070 Low), the competition is even worse for gaming (LifeBook AH502 -17% and Asus F55A -21% Anno 2070). 3DMark 06 shows similar results; the integrated HD 4000 is only 50% faster, which is not a significant advantage. If you are just writing texts, you will not be disturbed by the ATIV Book. We only measure 30 dB(A) during idle (Silent Mode Auto) and the system is completely quiet as soon as the HDD is deactivated. Very positive: The hard drive is almost silent; we don't even hear noise from the read/write heads. Under load (Silent Mode Off) the system noise is only raised to a quiet 32 dB(A); many notebooks reach this value during idle. Unfortunately the DVD drive does not support the good overall impression with 38 dB(A) during DVD playback. Users can use a tool to reduce the speed of the DVD drive. We determine temperatures of 42 degrees Celsius (107.6 Fahrenheit) at some spots around the CPU; otherwise, there is no difference between idle (Silent Mode Auto) and the stress test (Silent Mode Off). The average temperature at the bottom is just raised by 1 degree; the diagram even shows areas that are cooler under load. The reason for this is the temporarily deactivated fan during idle where the heat stays inside the case. This heat is dissipated when the fan is working under load. The maximum temperature of the processor is just 67 degrees (152.6 Fahrenheit) during our stress test; the clock was at a steady 1.8 GHz (GPU @ 1,000 MHz). A Pentium 2117U (1.8 GHz) can be affected by throttling if the cooling is insufficient (Gigabyte U2142-2117U Convertible @ 1.0 GHz). All in all the cooling system works very well; we expect it to be sufficient for the cooling of a Core i5 and GeForce GT 710M as well. Noise and temperatures might be increased under load. The sound of the stereo speakers is very focused on mid-tones (tinny) and is distorted with higher volumes. 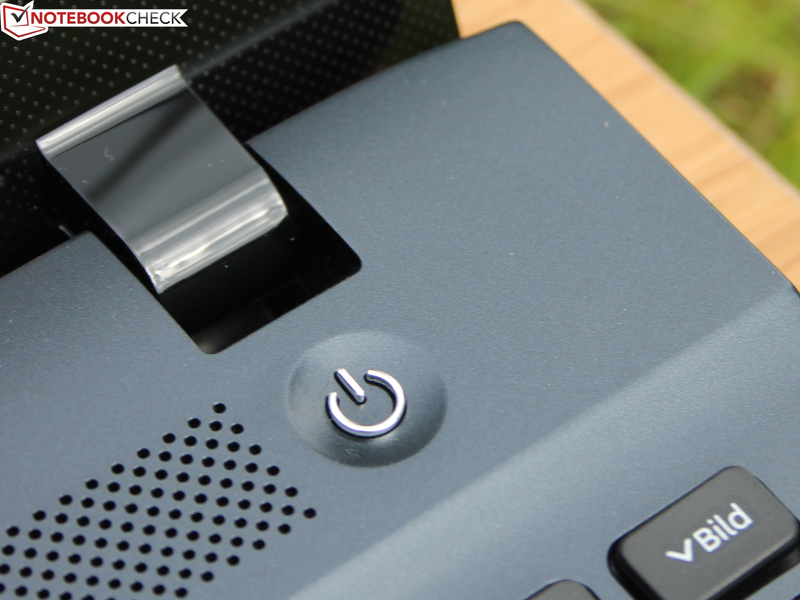 The speakers are behind a perforated grid above the keyboard. You can either use the HDMI port or the 3.5 mm stereo jack (combined with a microphone, perfect for headsets with only one connector) for audio output. We already mentioned the low energy consumption at the beginning of this review. With six to nine Watts our review unit is more frugal than the competition: Fujitsu LifeBook AH502 (Pentium 2020M, 8-12 Watts); Dell Vostro 2520 (i3-3120M, 7-13 Watts); Wortmann Terra Mobile 1512 (Celeron 1037U, 9-15 Watts). The difference is not huge because all Intel processors share the same manufacturing process (22 nm @ 17 & 35 Watts). 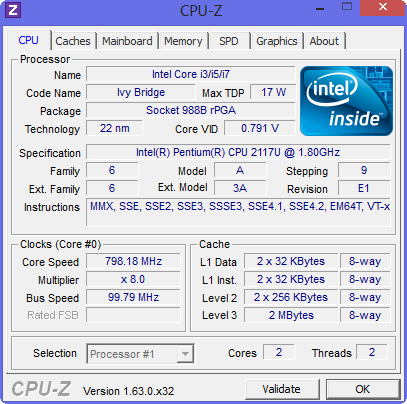 All processors also have numerous energy saving features (e.g. Enhanced Speedstep, integrated HD Graphics, DDR3 Memory Controller). 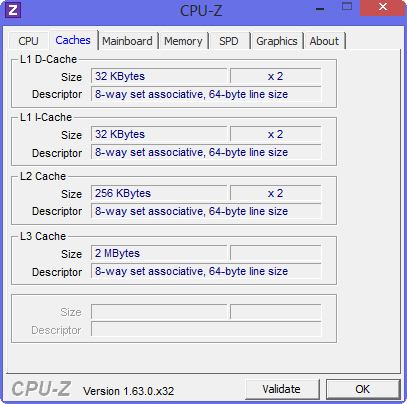 In other words: It does not matter if it is a Celeron, Pentium or Core i5, all processors are similarly frugal during idle (at least with the identical form factor). Only high-end quad-core CPUs combined with dedicated GPUs raise the idle consumption to 15-25 Watts (min./max.). 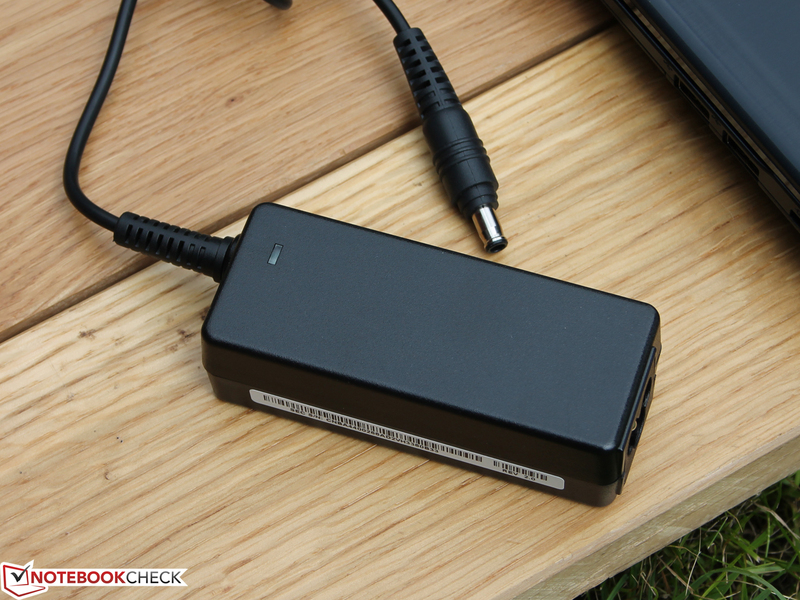 The 40-Watt power supply unit needs two hours to charge the 40 Wh lithium-ion battery. The advertised runtime of the manufacturer (5.8 hours) is even surpassed by our ATIV Book, at least during idle with minimum brightness (7:04 hours). 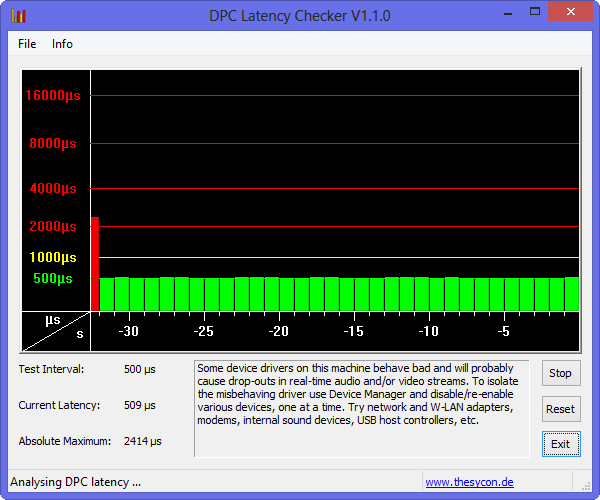 Our WLAN Test is more realistic with a brightness of 150 cd/m². We can browse the web (websites are refreshed every 40 seconds via script) for 4:19 hours (Silent Mode Auto). The competition cannot be scared off with these results: Fujitsu LifeBook AH502 (48 Wh, 4:13 h), Wortmann Terra Mobile 1512 (49 Wh, 4:18 h). The Dell Vostro 2520 (48 Wh, 5:24 h) with a Sandy Bridge Core i3 even manages one hour more but also has a higher battery capacity. Old wine in new bottles? Not quite. 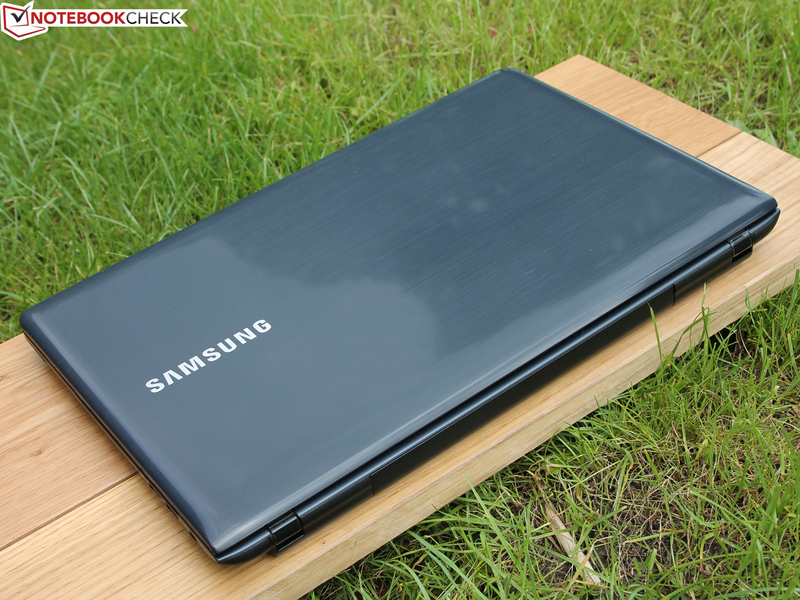 Samsung does use a familiar chassis (series 2) for the new ATIV Book 2 and just slightly modifies the design. The technology however is completely new; it is equipped with the new mainstream platform and we will certainly see the Pentium 2117U (1.8 GHz) in many entry-level devices. 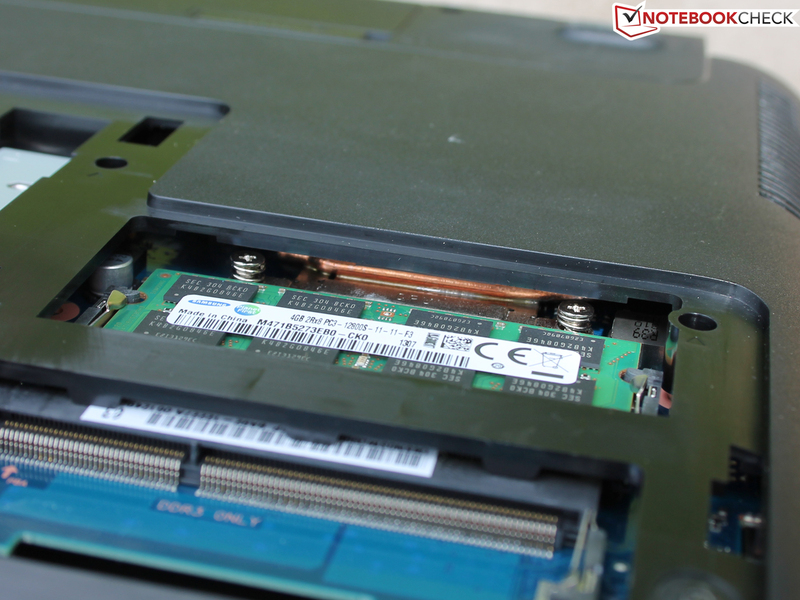 A novelty is the use of a Low Voltage CPU (TDP 17 Watts) for a standard notebook without Ultrabook ambitions. 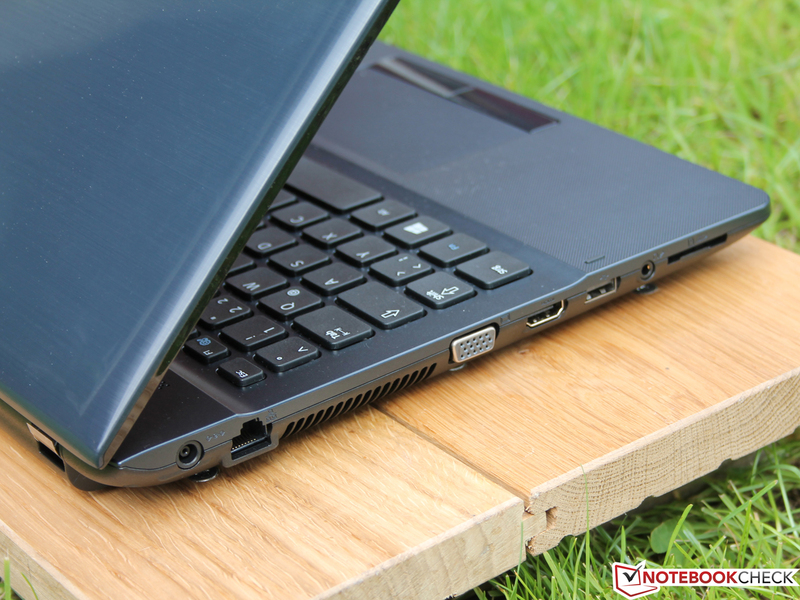 Acer and Wortmann follow the same trend with the Aspire E1-572 (i3-4010U) and the Terra Mobile 1512 (Celeron 1037U). The fear that we would just get netbook performance is not justified; the system is just 25% behind an inexpensive Core i3 Standard Voltage system (system benchmarks). The pure CPU performance is comparable with a Celeron 1000M (35 Watts) but without the high-energy consumption. This not only results in one of the most frugal 15-inch notebooks in this price category but also in a very quiet and cool device. 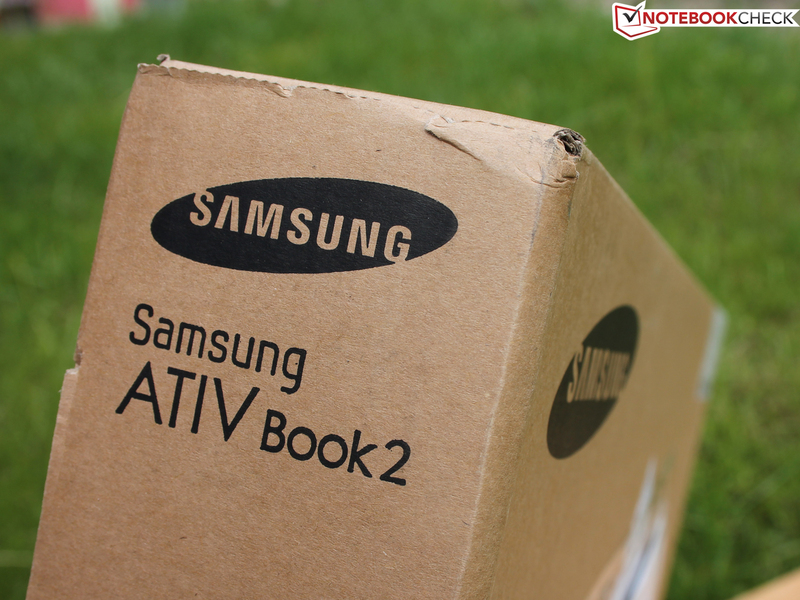 Combined with the battery runtime of four hours and the convenient input devices (rare: long key travel) the ATIV Book 2 meets the office requirements. 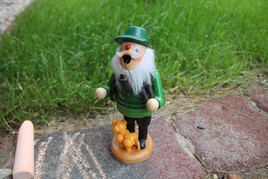 However, nothing is perfect, especially for under 400 Euros (~$531). The drawbacks include the flexible chassis, the limited viewing angles of the TN panel and the nonexistent gaming capabilities. 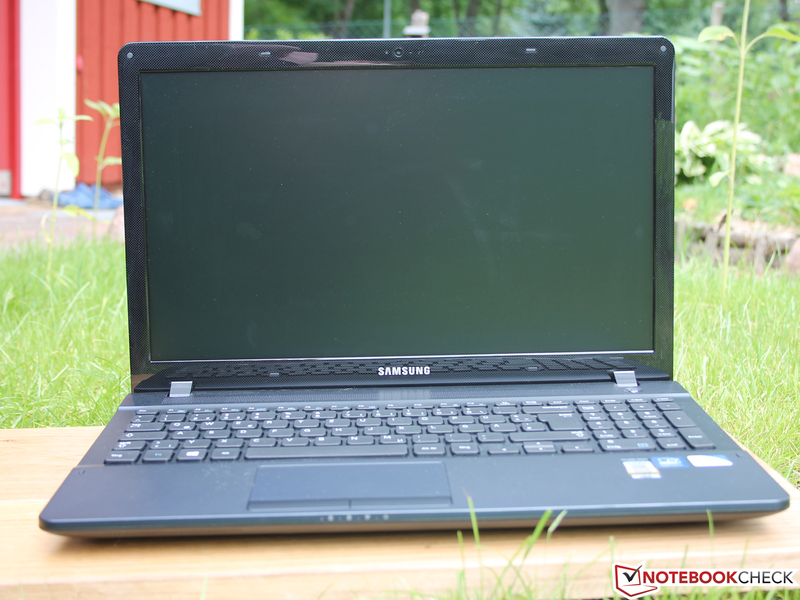 All in all Samsung produced a reasonable all-rounder for this price that can beat the competitors Fujitsu LifeBook AH502 (Pentium 2020M) and Wortmann Terra Mobile 1512 (Celeron 1037U). The LifeBook AH502 is better suited for more demanding applications that require more CPU performance (Standard Voltage) in this price category and users that pay attention to good input devices as well as a good maintainability. 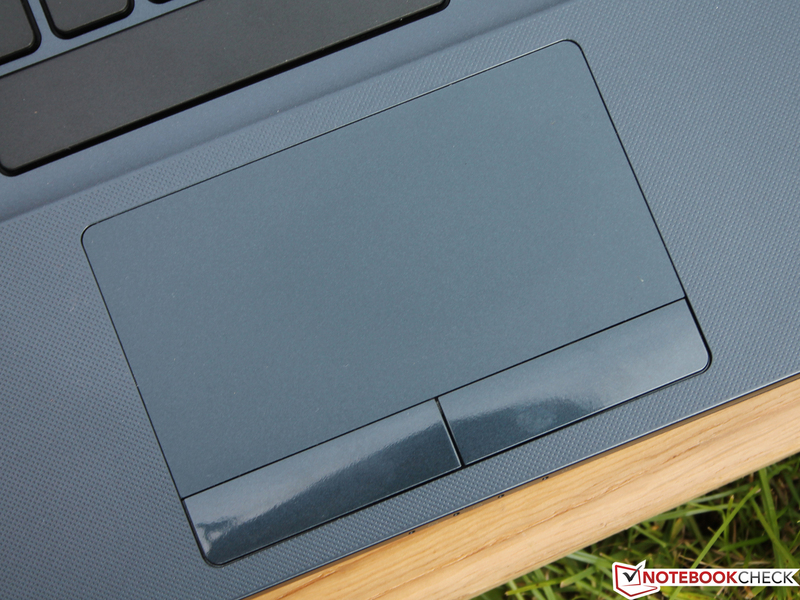 The Terra Mobile 1512 has a higher contrast ratio, good input devices and 1 TB storage. 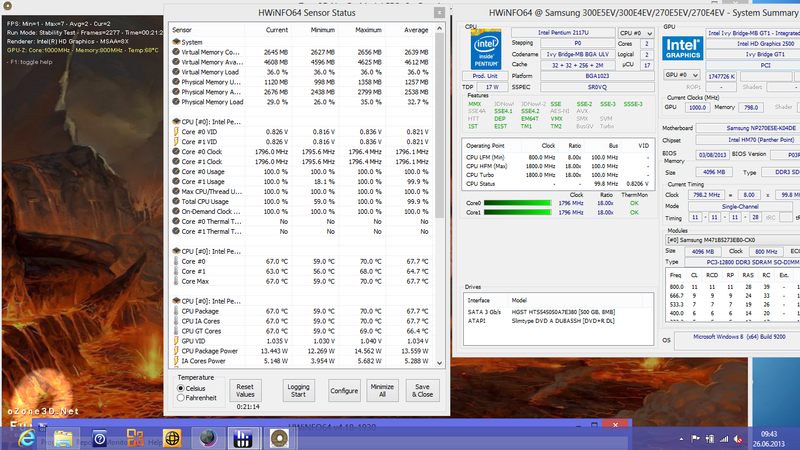 It is also quiet and cool thanks to the Low Voltage Celeron. However, the Terra Mobile 1512 is not as frugal as the ATIV Book 2. ATIV Book? 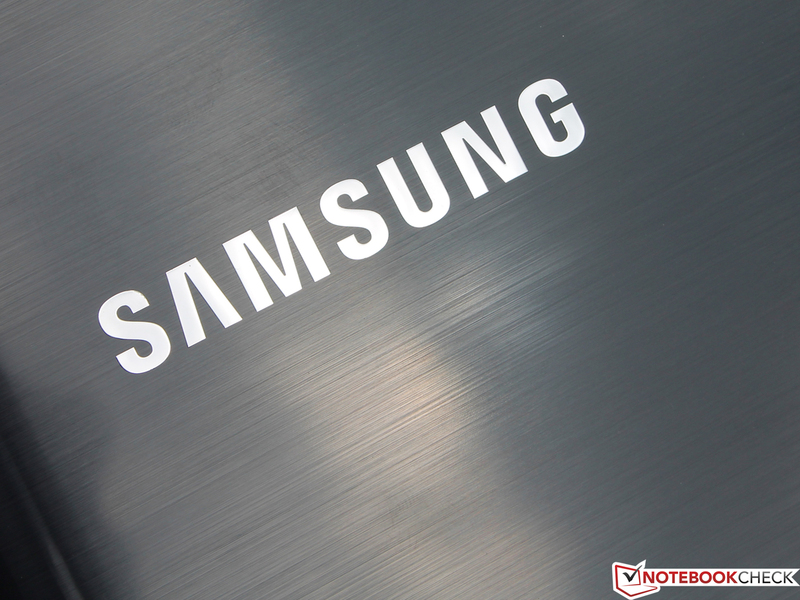 A new star in the Samsung sky? More likely old wine in new bottles. 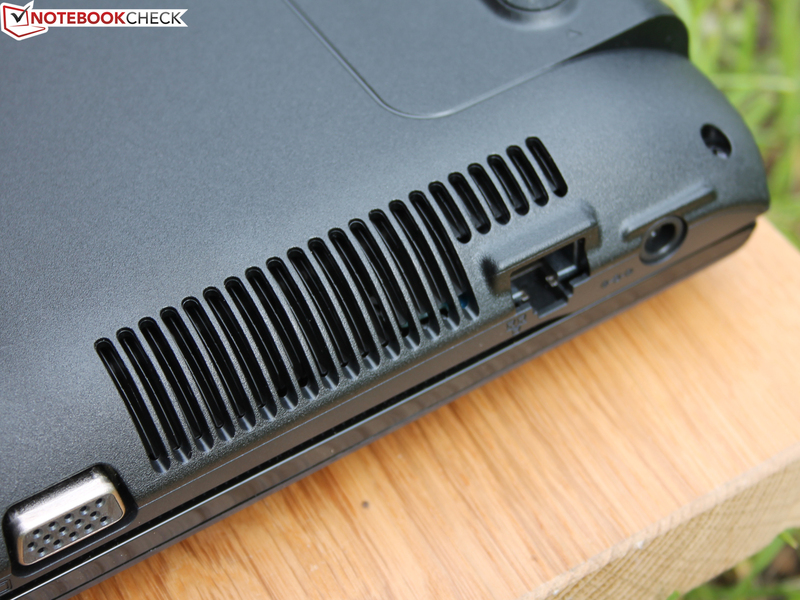 The Samsung ATIV Book 2 - 270E5E uses a familiar chassis. ...so the customer always gets a fresh looking notebook. The chassis has already been equipped with AMD's E-450 APU. This time it is a Low-Voltage-Pentium processor. The keys have a surprisingly long travel. Fingerprints are very resistant on the brushed plastic. Weakness: Handling the device opens the DVD drive from time to time. The small 40-Watt power supply unit is almost cute in comparison. Reason for the small dimensions: The frugal Low-Voltage-Pentium only consumes 30 Watts (maximum consumption for the whole system). Maintainability is still very limited. Hard drive and memory (2 modules) can be replaced very easily. You cannot access the fan and clean it. 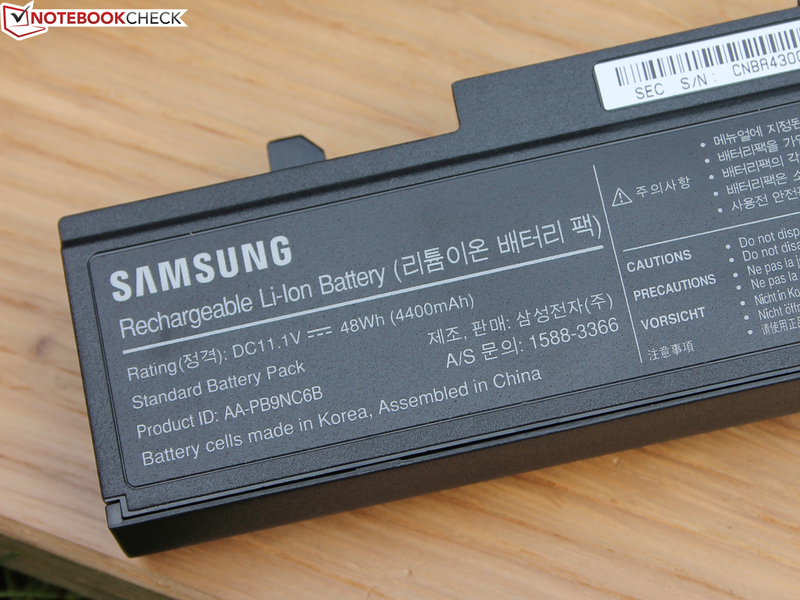 The battery can be removed, operation without it is possible. 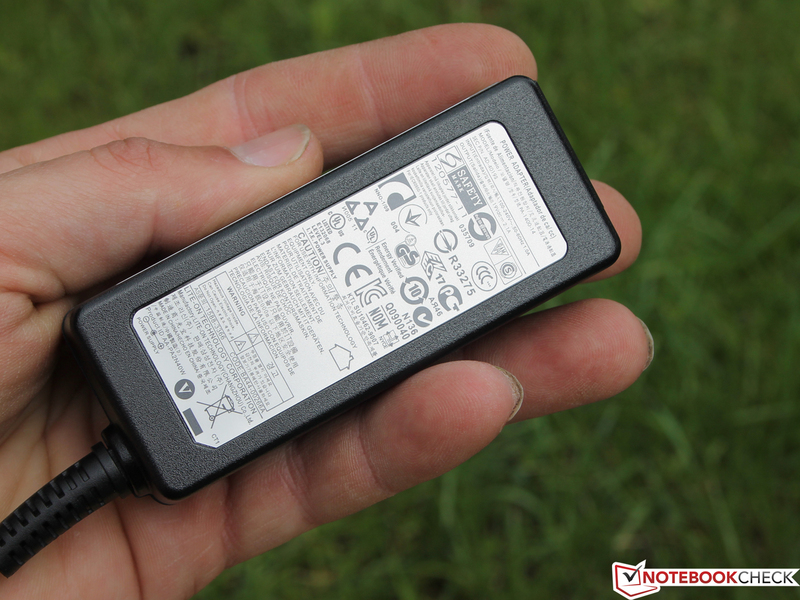 48 Wh, that is sufficient for around 4 hours web browsing with the throttled Silent Mode. 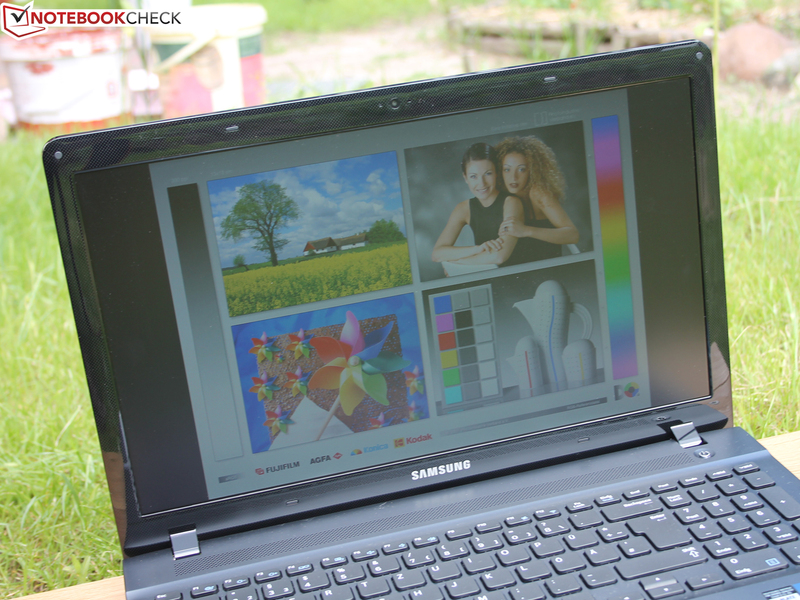 Samsung ATIV Book 2 - 270E5E: The smallest configuration with the Pentium 2117U is clearly below 400 Euros. Samsung ATIV Book 2 - 270E5E: Despite the small price the office capabilities are decent: Quiet, frugal, matte and bright display and convenient input devices. 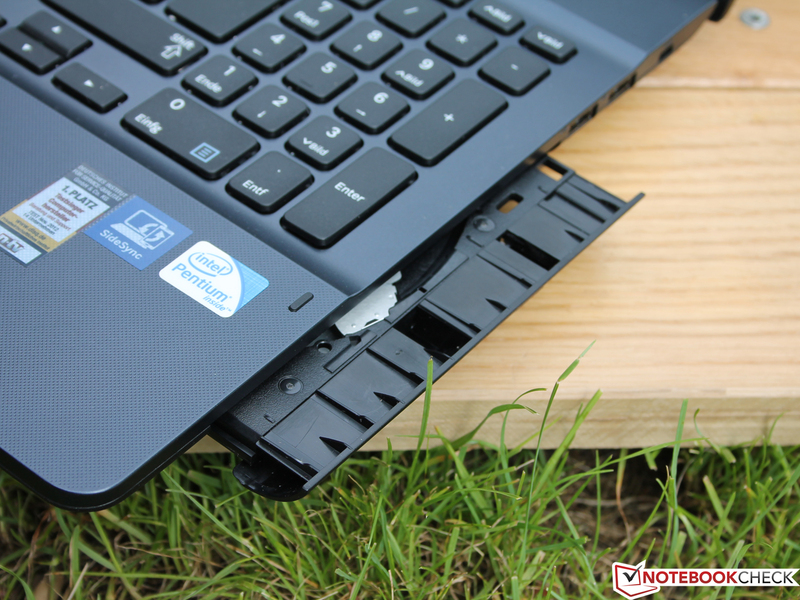 Samsung ATIV Book 2 - 270E5E: The case stability reveals the low-cost system. 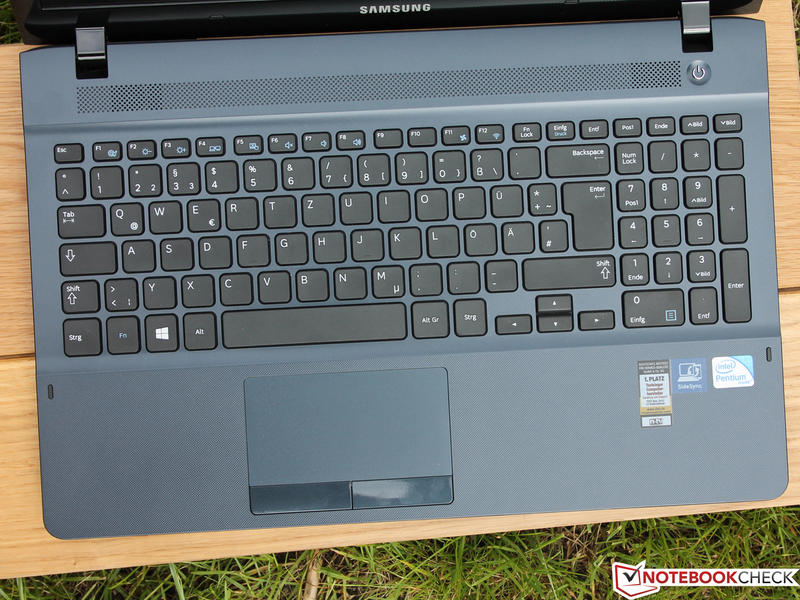 Samsung ATIV Book 2 - 270E5E: The panel has a decent contrast but also a blue cast. 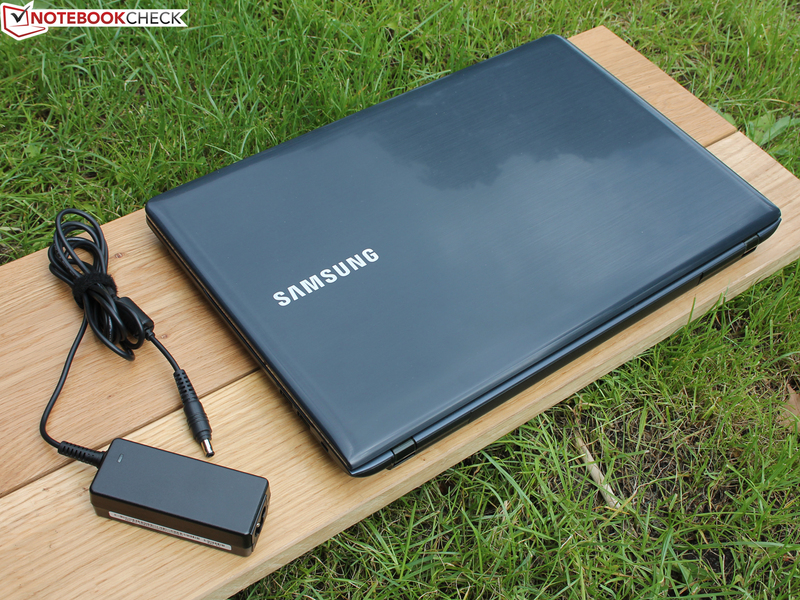 Samsung ATIV Book 2 - 270E5E: Simple technology but sufficient performance. 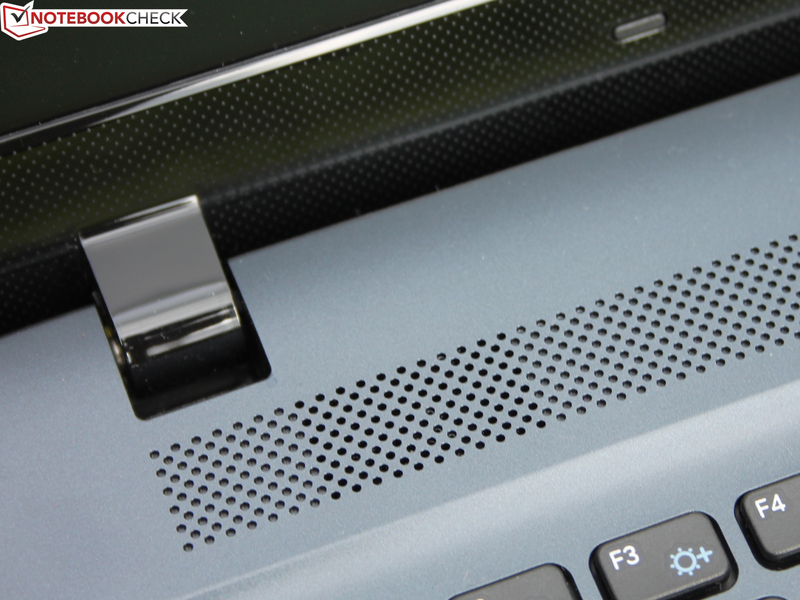 Samsung ATIV Book 2 - 270E5E: Very firm key stroke. 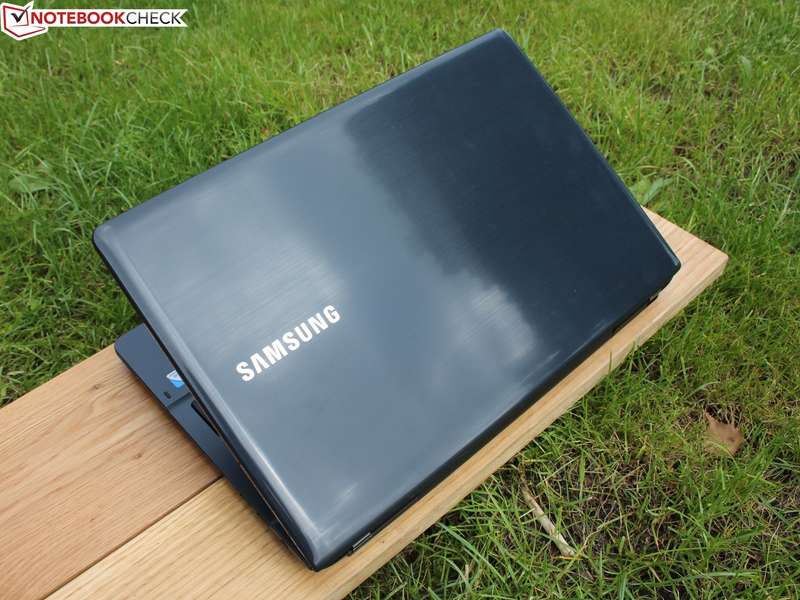 Samsung ATIV Book 2 - 270E5E: Valuable. The notebook is very energy efficient. Usually only Ultrabooks are that frugal. 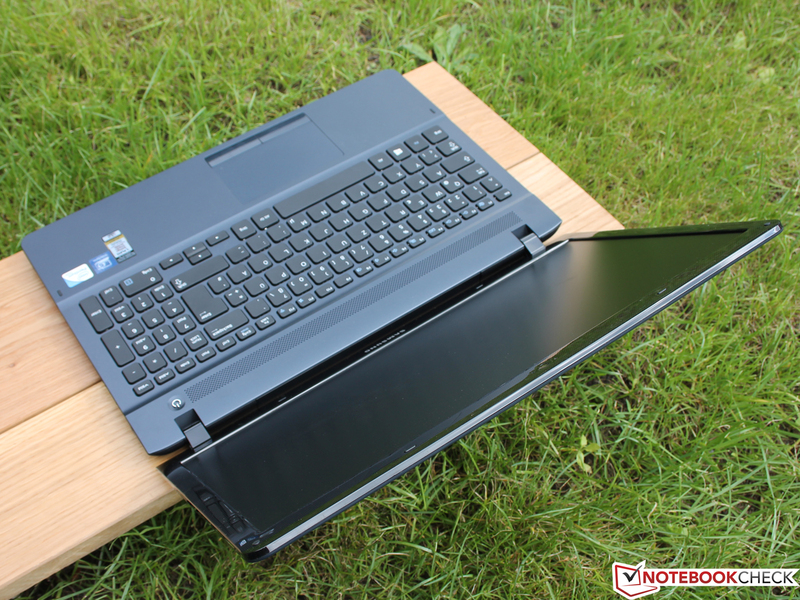 The positive aspects are ideal for an office notebook: good keyboard, very silent, frugal and equipped with a decent display. A perfect keyboard without flexing and conical keys. 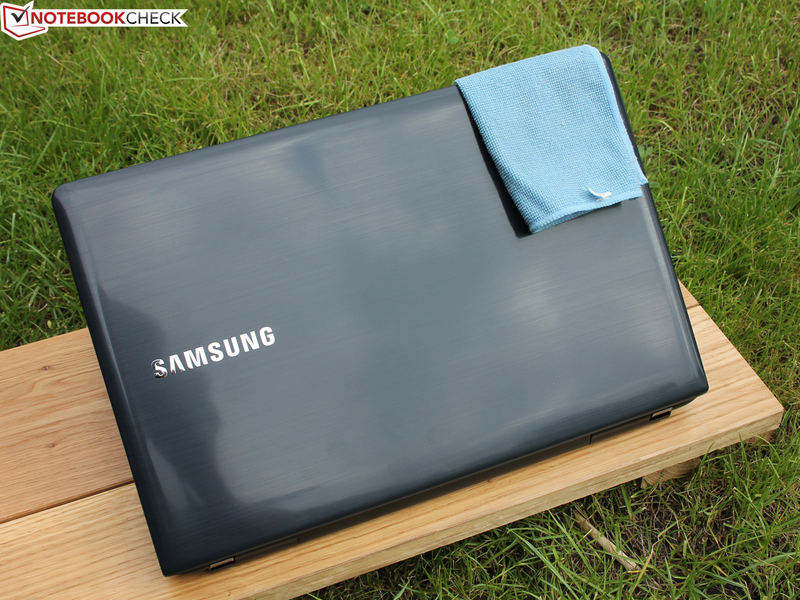 How long Samsung uses the same base and just modifies it for different notebooks.